Feel the thrill as you travel between the Sunshine Coast and Gulf Islands by float plane. Enjoy a birds-eye view of rugged forest, misty islands, and scenic inlets - before an exciting landing on water. We’ve got the best activity suggestions – you may find it hard to choose! Options include wine tasting at Salt Spring’s local vineyards, sea kayaking with seals on the Sunshine Coast, or a thrilling zodiac tour – just to name a few. Your accommodations are as spectacular as your surroundings! Stay at a sprawling country manor plus a luxury wilderness lodge. One of the most beautiful cities in the world, Vancouver is surrounded by towering mountains and sparkling ocean. Spend the night at a conveniently located airport hotel. 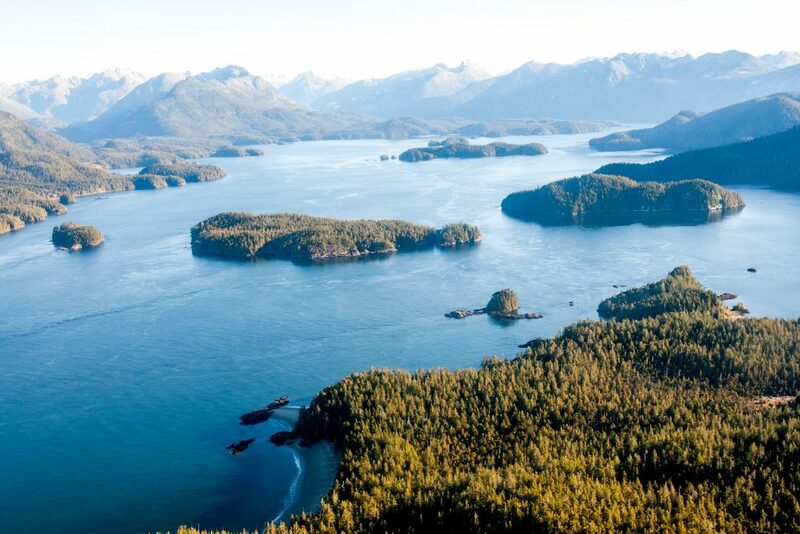 Have your camera ready for stunning ocean vistas as you travel to the Gulf Islands by seaplane. Traveling over the shimmering waters of the Strait of Georgia, catch your first glimpse of the charming Salt Spring Islands where you will be staying for the next three nights. Today you’ll enjoy a seaplane flight from the Vancouver South Terminal to Salt Spring Island. Your flight will take you over the Gulf Islands to Ganges Harbour. Enjoy the freedom of exploring by vehicle. Your rental includes Collision Damage Waiver, unlimited kilometers, and one additional driver. Savour one of the island's finest culinary experiences at the Fine Dining Room set in the historic Manor House. Get out and explore the island today with a Salt Spring local. Learn about some of the hidden gems and what makes this island so sought after. Salt Spring Island is the largest, most populated, and most popular of the Southern Gulf Islands. Located between Vancouver Island and the Mainland in the Strait of Georgia alongside neighbouring islands, Galiano, Pender, Saturna, Maine and Prevost, Salt Spring is a great place to come and enjoy local artisan crafts and treats, wine, cheese, local produce from the farmers markets, entertainment and a plethora of outdoor activities for all ages. Accessed from the mainland and Vancouver Island by ferry and seaplane, a good starting point would be Ganges Village located in the centre of the island, which is home to local arts, restaurants, pubs, shops and the famous Saturday Farmer’s Market. Today you arrive at the lodge, check in and meet your hosts, relax and later on enjoy a gourmet meal in the dining room with panoramic views of Jervis Inlet. Dinner included. Overnight at West Coast Wilderness Lodge. Today a boat tour up the Princess Louisa Inlet is included. This is one of the most popular activities in the area. A kayaking tour has been included today. Additionally, you are free to explore on your own. The walk to Skookumchuck Rapids is highly recommended - get a bird’s eye view of the fastest salt water rapids in North America. Set out from the footsteps of the lodge on a guided kayak tour of the Jervis Inlet. Enjoy the beauty that surrounds you as you glide through the waters. With ample opportunities for wildlife spotting this is a must do. Today your west coast luxury getaway comes to an end. Depart the West Coast Wilderness Lodge directly from the dock on a private floatplane. Your flight will bring you to the Vancouver International Airport to connect with your flight home. Insider tip: To provide the most flexibility for arranging a departing flight from Vancouver, have your Vacation Advisor book you an additional post night at a Vancouver airport hotel. After breakfast, you depart the luxury and seclusion of the lodge and make your way onward. Enjoy the unique experience of a private chartered seaplane flight departing directly from dock at the West Coast Wilderness Lodge to Vancouver South Airport.